In the current Smartphone era, we would definitely be taking tonnes of photos to our heart’s content during our travels. Rather than just leaving the travel photos lying dejectedly in your hard drive, or in scrapbooks, many would choose to either share them on social networking sites or online photo albums. 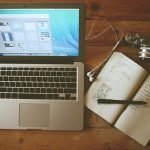 Have you ever consider starting a travel blog instead? I am sure you would have taken photos that are only reserved for your friends and families. To protect your privacy, you may want to upload into social networking sites which the access is limited to your immediate social circle. You may then place photographs of scenery in photo sharing sites like Instagram. When you share photos in photo sharing sites, the user would not have an overall view of the travels. Some would just do a direct upload from our cameras- without filtering- so that leaves lots of photos and it can be too overwhelming for a person to view. Long time ago, I used Webshots to share my photos and find that to get to a particular photo takes time- I have to know where the photo is, the click on the respective album. Also, the advertisements in using the site puts me off. We work very hard throughout the year before we take our vacations. As such, the photos normally have a story to tell. When you just have the photos plastered in Instagram, these photos don’t have a chance to tell their story. 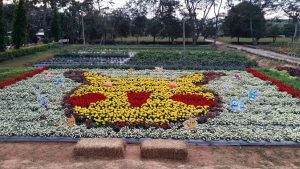 Above: A Pokemon image made completely from flowers found in a garden in the highlands of North East Thailand. 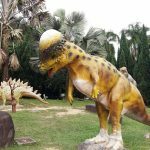 I have a blog about my visits to Thailand. When you start a travel blog, the photos can be arranged according to the places you have visited. Perhaps you have collected some mementos or have an unusual experience. But if these are not clearly written, they will be forgotten. And who knows, your experience can benefit many other travellers. Years ago, I have started a series of travel blogs- because I find that it is no longer suitable to have my photos featured in the sharing sites. In the process of transferring these photos to their individual blogs, I allowed the photos to tell their stories. 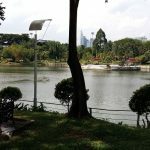 One example is Visit Malaysia, a blog I started when I visit other states. The blog has since evolved into various topics covering food, craft suppliers, festivals and shopping. From a niche, the blog had grown into a multi topic site which I am able to contain with custom pages sidebars and widgets thanks to my Thesis wordpress theme. You may want to decide if you want to pay for your own hosting/domain name or use a free platform. If you already have your own personal website/blog, you can easily ride on the same hosting and domain by creating a subdomain. But if it is your first time starting out and you are not willing to invest for hosting, then you can use a free blogging platform. There are 2 popular platforms: WordPress and Blogger. WordPress: the layout (themes) are more attractive. But if you are using their free wordpress.com site, you cannot put any advertisement on the site. Blogger: advertisements, especially Adsense is allowed on the Blogger platform but the layout may not be that attractive. See one of my older Blogger sites for example. The reality: From discussion boards in the internet, I gathered that personal travel blogs, meaning exclusively on the writer’s travel experience does not generate much income or visits. The more formalised ones, however can make more money through affiliate and tie ups with businesses from the travel industry such as motels, hotels, airline, online booking sites. Still, if you genuinely enjoy doing something, money would not be your main motivating factor. 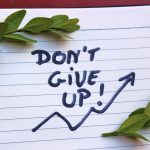 However, if your site eventually get lots of traffic (it takes time to built up long term traffic), and you decide to get your own hosting/domain name, it will be painful to do the migration because you will have to start all over again to attract traffic- as your new site would not tend to be listed in search engines and you will have wait for a few months before the fist organic search traffic start to trickle in. Therefore, you may want to plan long term- if you want to establish an identity in the cyberworld and want to seriously explore into websites and blogs, it may be worthwhile to buy your own hosting and site first. 2. Image size must be reduced. If you take high quality images of 1 or 2 MB, it would be better to shrink it to a smaller size- you would normally require a photo edit software to do it. Initially I find that I have problems uploading my photos on my travel blogs- I searched for solutions over the net which taught me to tweak some files. However, I realise that a large photo will take ages to load and takes up a lot of bandwidth if you have multiple visitors accessing at once. As such, I shrink the size of each photo before uploading. If you have talent in photography, you may also upload the smaller sized file but with clear indications that you are willing to sell the high resolution original photographs for a fee. You may enter the world of blogging as the accidental blogger- ie writing and frequently posting about topics that you cared about or have interest in. From there, it would have evolved to more- you’ll probably grow to love your little project and continuously work to improve the site and attempt to attract more traffic.